Nothing like a(nother) near-death experience to shake things up. In Monday’s SCORPION finale, Team Scorpion has to contend with a literal minefield in South Africa. 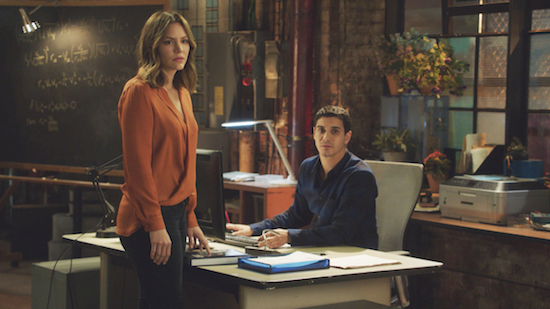 But when Walter (Elyes Gabel) finds himself buried under sand in the process of their case, Paige (Katharine McPhee) is desperate to reach out to him. After last week’s dangerous plane fiasco—where Walter tried to tell Paige the truth about his night out with Florence (Tina Majorino) —Paige is hyper-aware that her boyfriend is hiding something from her. But when the situation is flipped, Paige wants her message to be clear: she loves Walter.